The Barefoot College in Rajasthan, India was founded in 1972 to help rural villagers learn and develop skills that are meaningful and important to them. People who can do things that truly help are valued and empowered. Those with PhD's and Masters degrees do not tend to be among them, so they are disqualified from teaching. Ability to meet critical needs like supplying clean energy and water is deemed relevant, whereas advanced literacy, not so much. 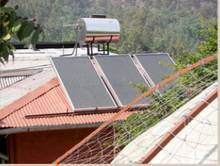 The Barefoot College campus is powered entirely by solar panels that were installed by the students. 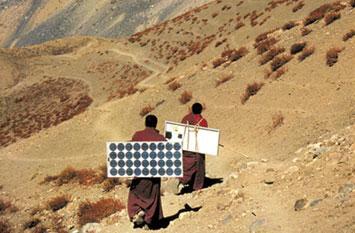 All cooking is done in large, parabolic solar cookers installed by the female students on campus. 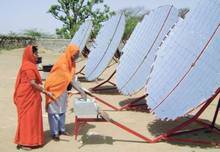 Other remote and neglected rural villages seeking electrification can also participate in Barefoot College's solar program, which has been in place since 1989. Members of these villages are trained to be "BSE's" ("Barefoot Solar Engineers"), who are charged with installing, maintaining and repairing the solar equipment for their village. The BSE's also are responsible for creating "Renewable Energy Workshops" in which to store equipment for solar technology maintenance and repair. Rules are in place to ensure they community-wide financial and organizational buy-in critical to making their solar program a success. The Barefoot College is a pioneering example of Mahatma Gandhi's ethos that rural villagers have the capacities to solve their problems and that they should be allowed and given control of the means to do so.